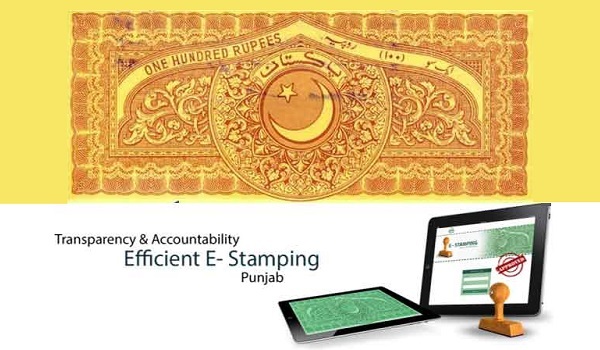 The e-stamp paper system has finally been launched in Punjab. A ceremony, presided by Punjab Chief Minister Shahbaz Sharif, was held in this regard at Arfa Karim Tower in Lahore on December 26, 2016. Reportedly, the e-stamp paper system has been activated in 144 tehsils of Punjab. The new system will bring an end to the 70-year-old mechanism of issuing judicial and non-judicial stamp papers, which triggered various problems such as forgery, fraud, issuance of stamp papers on previous dates and documenting the incorrect value of immovable properties. The new system has also made access to information and relevant data easier. In addition to that, getting an e-stamp paper is also easier, as you can obtain one in 15 minutes than to wait for 3 days to get a stamp paper as was the situation under the former mechanism. During the inauguration ceremony, it was also revealed that so far 433,400 e-stamp papers valuing more than PKR 10.65 billion have been issued and the system has so far facilitated over 500,000 people in the province. E-stamp papers will help the government in taking further steps to establish an e-governance system in the province. While addressing the ceremony, the CM said that similar technology will be introduced in the police, health and education departments and other sectors as well. He also mentioned that revenue recovery has increased by 33% due to the e-stamp paper system. 1- Visit www.es.punjab.gov.pk - the official website for issuing an e-stamp paper - and fill in Challan Form 32-A. 3- Pay the stamp duty and get an e-stamp paper right away from the bank. After the computerisation of the land record system and inauguration of the Land Record Management Information System, the issuance of e-stamp paper is truly a praiseworthy development. We hope that the new systems will work flawlessly to keep incidences of fraud and forgery at bay.